The mustache is more than a silly appendage. A well-chosen and maintained mo confers great powers on the wearer. You think we’re kidding? 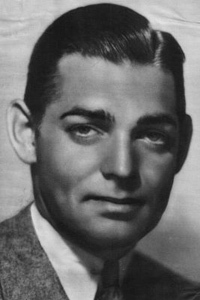 Check the following example of one of the most famous mustachioed men, Clark Gable. In the first image, we have Clark without his mustache – handsome, but kind of looks like he should be selling insurance. Now in the second image, we have the more familiar pencil mustache, and we’re confronted with the handsome devil of Hollywood legend. How can you achieve a similar transformation? We’ll get to that shortly. If mustaches are so powerful, why are they maligned as an unwelcome throwback to the 80s? Or dismissed as a frivolous side effect of ‘No Shave November’ and ‘Movember’ (depends on where in the world you’re not shaving)? Fashion cycles affect facial hair as much as anything else – at Time magazine Dan Stewart considers the rise and fall of facial hair and contemplates with sadness the arrival of ‘peak beard’: the point at which more men have beards than don’t. With Tim Ford producing a grooming comb for facial hair and predictions of the fall of the beard being accompanied by the rise of the mustache, it’s time to take a hard look at what the mustache has to offer. As a beard can do wonders to redefine your face, so too a moustache can add amazing character and balance to your features. The proper mustache style can minimize large features, or accentuate and extend smaller ones. The main points to consider when choosing a mustache style are – weight, direction, and width. The bushiness and vertical height of the mustache. A weighty mustache will add volume to the top lip: great for adding proportion to your face, or minimizing a large nose. Is the mustache generally horizontal or vertical? Narrow faces won’t be helped by a Horseshoe mustache (think Hulk Hogan), but can benefit tremendously from Handlebar or English mustaches that break up the vertical lines of the face with some horizontal action. A wide mustache will broaden the mouth and nose, and a narrow mustache will do the opposite. Take a look in the mirror and imagine what will work best for you. Let’s take a look at a few examples to illustrate these points. Now that we’ve been over the basics of choosing a mustache style for your face, here are some excellent examples you may be familiar with. 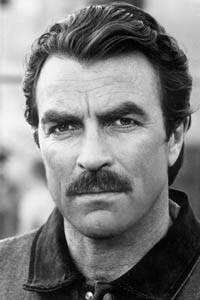 The most famous mustache man of all – Tom Selleck. We see here that without his legendary whiskers he once again looks just like an ordinary guy. How does the famous ‘stache work its magic? In our first picture, notice the distance between the bottom of his chin and his bottom lip. Now look at the distance between his nose and his top lip – the difference is huge! Let’s look at the second picture. The mustache adds weight to his top lip and makes the distance between his nose and top lip similar to that of his chin and bottom lip. It adds balance and harmony to his face, and more imortantly, made Magnum P.I. possible. 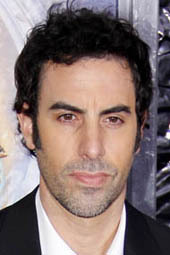 Whatever you think of him, the gleefully wicked Sacha Baron Cohen (Aka Borat, Bruno, etc.) has consistently used facial hair to his advantage. It’d be easy to focus on the Borat persona with the legendary mustache, but instead let’s take a look at some of his lesser known roles. Baron-Cohen is not by any means a conventionally handsome fellow. He has large lips, a big nose and a very long face. 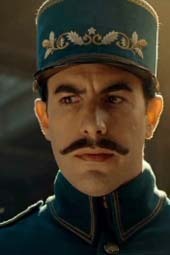 The perfect antidote to all this is the handsome mustache he wore in Hugo, as the Station Inspector. The Station Inspector’s mustache breaks up Baron-Cohen’s long face, balances his nose making it look less obtrusive, and draws attention away from his narrow but full-lipped mouth. 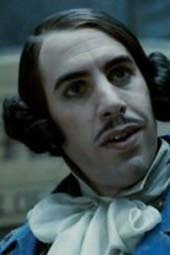 Now take Baron-Cohen’s role in Sweeny Todd – that tiny little pencil mustache makes him look ridiculous, which is OK, since his character is supposed to be ridiculous as well. Hugh Jackman, being an Aussie, would refer to this as a Mo, although an appendage as sinister as this deserves a better name than that. 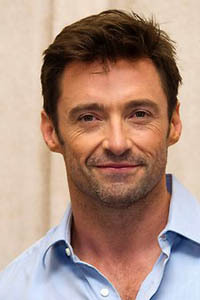 Jackman’s features are fairly regular, so we can see the effect an over-sized mustache can have. This monster of a Handlebar he’s sporting for his pirate flick broadens his mouth and gives the impression that he’s wearing a permanent leer. With the shaved head, there’s nothing to look at other than the mustache, sending it into the realm of caricature. This is great for filming, but a bit much for everyday wear. But we don’t have to confine ourselves to Holloywood. 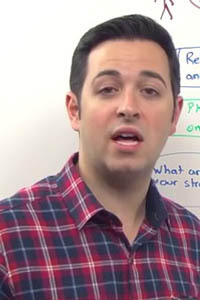 Meet Rand Fishkin – famous among online marketers, but most folk won’t know him. 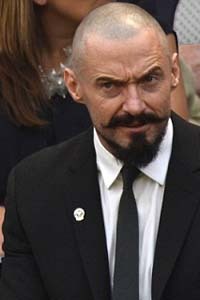 He’s an interesting example to follow after Hugh Jackman, because he has basically the same mustache and beard style, but wears it in a way that adds fantastic character to his face without going overboard. Here we can see a beard and Handlebar mustache filling out his face and adding a load of dapper character. The Handlebar mustache makes his mouth appear wider and the beard adds volume to his jaw. The whole ensemble is balanced nicely with a classic short back & sides. Let’s take a look at some mustache styles and see if you can find something you like. Here we look at a few different mustache styles, but note that we’re sticking to styles you’d actually want to wear. We won’t bother with the toothbrush mustache (ruined by a certain German mass murderer), and the Fu Manchu (as worn by Kung Fu masters in Hong Kong action films). Let’s get started with a classic: the Walrus. Are you ready for a commitment? Is your significant other ready for a commitment? This mustache will take a long time to grow and pass through some awkward stages before reaching its awesome, shaggy maturity. It’s a big mustache with a lot of character. It’ll get you noticed. Being the size it is, it’ll tend to minimize other facial features and add a lot of weight to the upper lip, and middle of the face generally. While a walrus mustache can be constrained to the horizontal, it’s often grown down around the sides of the mouth giving it a strong vertical direction. Anyone with a big nose or a wide face will get a lot out of the walrus mustache. The sheer size and weight of the mustache will balance otherwise dominating facial features, and the heaviness and potential for vertical lines will favor wide or round faces. There could be no more famous example then Nietzsche. 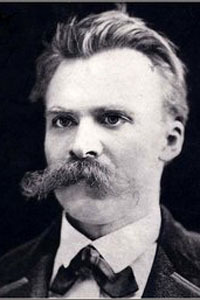 In his day an enormous, bushy mustache was the mark of a gentleman, but you’d have to wonder if even Nietzsche’s mustache didn’t raise a few eyebrows in his time. 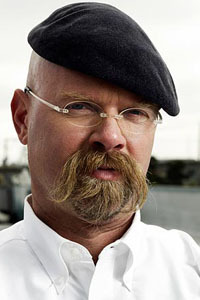 But we have great current day examples as well, the most famous of which is of course Jamie Hyneman of Mythbusters fame. He’s been wearing his walrus mustache since the start of the show, and it’s only gotten bigger over time. He wears it down around the edges of his mouth, adding some length to his cherubic face. When you take a look at the examples we’ve provided of some classic Horseshoes, you’ll be left with one impression – badass. 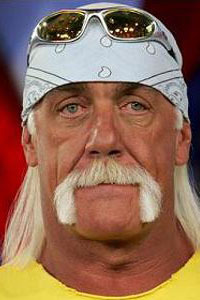 This mustache has been a favorite of bikers, bouncers and toughguys since the 70s and still enjoys popularity today. This is one of mustache styles with an overall vertical direction that you’d actually want to wear. Its great for adding some length to the face, and can be worn very bushy to add weight to the face, or quite neat and trim to keep it minimal. Square and round faces benefit a lot from a horseshoe mustache. The two lines descending past the mouth add some vertical direction to the face, making it appear longer. Hulk Hogan. We all know this guy. Ever since the 80s he’s been showing off his blonde horseshoe in and out of the ring. You can see that he has a very square and rugged face, and this mustache is just the thing to give it a bit of length. 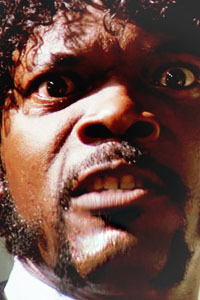 “I will strike down upon thee with great vengeance and furious anger…” Cementing the badass reputation of the horseshoe mustache in modern times is Samuel L. Jackson. Besides being exactly the kind of mustache his character would wear in Pulp Fiction, the mustache actually adds some balance to that crazy hair. The new/old standard for urban irony – nonetheless it’s an impressive and stylish item for your face. As with the walrus mustache, it’ll take a while for it to take shape, and you’ll look a bit scruffy while you wait. Some lucky fellas find their whiskers form the handlebar shape naturally. Everyone else uses mustache wax to achieve this style. Sometimes after a few weeks of waxing the mustache will hold on its own. Where to start? Growing one of these things is an achievement in itself. Besides having a load of personality, this moustache can broaden your mouth and add width to your face. The curls, if positioned just right, can make it look like you’re grinning like a jolly pirate all the damn time. Given that handlebars can be grown wide or narrow they can be adapted to many face types. They’re a more natural fit for narrower faces, however. 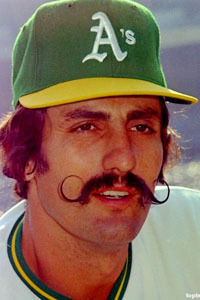 Rollie Fingers: a man who made this mustache so famous some people know it only by that name. This is a very classic example of the handlebar, wide and with large round curls. The mustache that relaunched facial hair in the 20th century. After the whiskery excesses of the Victorian era the gentlemen of the world let the skin show for a little while. Then along came the silver screen in the 30s and the minimal pencil mustache became popular. This is a great mustache to grow quickly, but be warned – it takes a lot of work to maintain, and once you have it, you’ll be comitted to shaving every day. The pencil mustache is elegant, minimal and very stylish. It can broaden the mouth without taking over half your face and will look great if you have to suit up for work (the opposite can be true for some styles, like the horseshoe – if you match it with a suit you may look like you’re on your way to court). While the pencil mustache will work on a face either broad or narrow, the key to remember is that it really won’t work with large features (see our earlier example for Sacha Baron Cohen). We’ve covered the most famous example – Clark Gable – but there are some great modern examples that show how this classic mustache can be paired with a modern look. 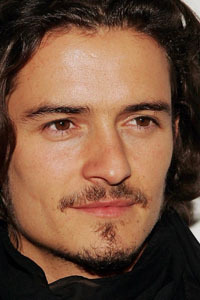 Orlando Bloom – Bloom’s been wearing one of these on and off for a while now, and you can see why. He has small regular features that support this mustache, and he benefits from the impression of broadening his mouth. 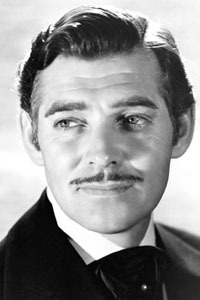 Bloom often marries the mustache to a chin-stripe or small goatee, which provides a modern touch to this classic mustache. 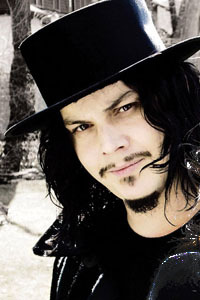 Jack White – Jack White’s also been wearing one of these for so long that he looks odd without it. Once again we see the mustache paired with a small beard and long hair. This is what many men will end up with if they just grow a moustache and forget about it, besides the occasional trim to keep it in check. Named for the ancient insignia depicted by an upward-pointing arrow, the chevron was the classic late 70s – early 80s mustache. If you have the follices to support it, it’s easy to grow and low-maintenance. It can add a lot of bulk to counterbalance or obscure large features without dominating the face the way a walrus mustache will. 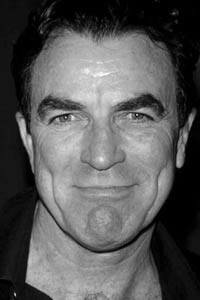 The chevron mustache can be grown wide to broaden, or tall (weighty) for balance (as we saw with the earlier example of Tom Selleck). 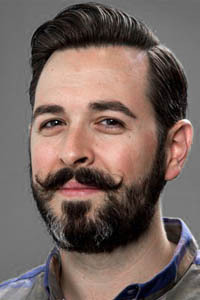 The only kind of face that won’t really support a chevron is one with small features, which may be domainated by this bushy mustache. Freddie Mercury. It’s telling that there are no modern examples of this mustache other than actors wearing it for a role – it hasn’t really fought its way back into style the way the handlebar mustache has. 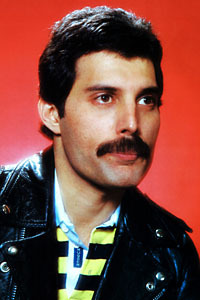 Nevertheless, Freddie Mercury is an excellent example – the man had a jaw like an iceberg, and the mustache moved balance and attention back to the centre of his face. That just about wraps up our mustache extravaganza. As we’ve seen a mustache can add a ton of style when the right style is added to the right face, and we think that it has a lot to offer outside of Movember. Do you see yourself growing a mustache anytime soon? Why? Or why not? Let us know in the comments below. A wide moustache will make ones nose seem narrower in contrast to it. A narrow moustache will make ones nose seem wider as it will be perceived that ones nose width encompasses all or most of the width of the moustache. Other than that, the article was correct. Hey, thanks for your clarification Jessie – super useful! Hey no probs Admin. Here’s a few more secrets I’ll share. In regards to the width of the mouth: Its in how close the corners of the mouth meet the moustache. So if one wishes to widen the mouth merely trim the hair away from the corners of the mouth thereby incorporating some of the skin outside the mouth as part of the mouth…while only trimming the upper lip’s edge to make a straight horizontal line rather than a semicircle which makes the mouth rounder and less wide. If one wishes to lengthen the nose simple trim the hair away from under the nose, again adding skin of the upper lip and incorporated it to the nose. In the case of my latter example it has to be done carefully as too much may, in some individuals, shorten the nose, so trim little at a time for the desired effect. I thought it was only I that used these techniques or tricks if you will, until I noticed it being used by stars in the media which led me to believe that I’m on the right track. Hi Jessie, can i get some paid advice from you with regards to my mo?